What Should I Do If My Gate Stops Working? 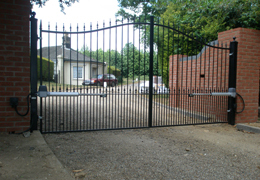 We’ve discussed before the extent to which a gate can be a beautiful, secure and convenient addition to any home, with benefits for both commercial premises or homely properties whether you’re selling up or simply wishing to make the place you spend most of your time nicer to frequent. Of course, with automatic sliding gates and a number of other similar installations, there are occasionally hiccups. When it comes to a gate being broken or damaged, it can be difficult to know exactly what to do about it, who you should call, and whether or not you should attempt a repair yourself. Whilst we at Motion Gates supply a range of sliding, hinging and automatic gates and bollards, did you know we also offer a repair service? Using our extensive knowledge we have gained from our many installations, we’re experts when it comes to knowing how these gates work and how they should be treated should they become non-functional. With any electrical or heavy equipment, safety is always a priority and as such, attempting to fix the gate yourself should never be attempted without proper prior experience. This is exactly why we’re here; professional help when you need it most! 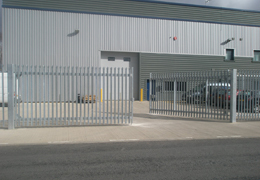 We understand how frustrating it can be to have a gate break down on you, and, this in mind, we arrange to get out to you as quickly as possible, performing an efficient yet thorough fix and ensuring it returns to supplying your property with security and convenience as its original design intended. Of course, we rigorously test all our installations, so you can be confident you’re buying only a top quality piece of kit. With our repair service, your confidence is reinforced further still, knowing a team of experts are ready to come to your aid should you require it at any time! Who better to call to fix your gate, no matter what type of fixture you’re having problems with, than the very people who install and maintain them! Our team are responsive, friendly and always willing to give advice on how you should proceed with gate repairs! Give us a call today to find out more!